At four years and over, we would class guinea pigs as aged – the time when they need a little more care and attention. Just like us, they get stiff joints, dental issues, renal problems, dietary issues and more, as well as being more susceptible to the damp and cold. First and foremost, it is important to make their lives a little more comfortable. This means keeping them inside in the warm, in a specially designed indoor cage. 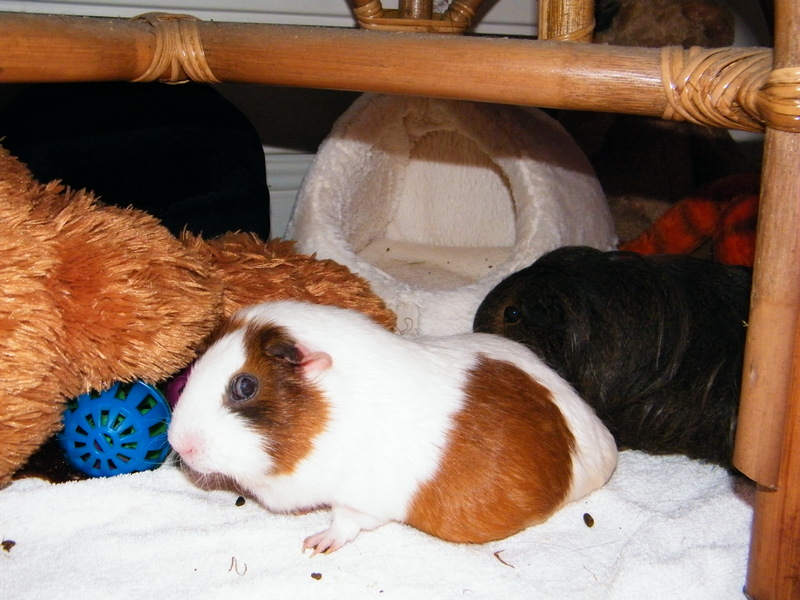 A pair of guinea pigs would benefit from a 4ft indoor cage with housing. Keeping a check on their weight is crucial to their well-being. Without this, it is sometimes hard to see if there is a problem. A set of kitchen scales will suffice! Regular healthchecking is also of paramount importance as they get older. Elderly guinea pigs also appear to be susceptible to lumps, bumblefoot (infected foot pad), cataracts and swollen lymph nodes. Here are some ideas for treats that your elderly guinea pig should enjoy.